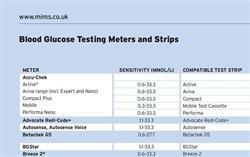 CCGs will be expected to make wearable sensors that allow continuous monitoring of blood glucose levels available to all eligible patients with type 1 diabetes from April 2019, NHS England has said. 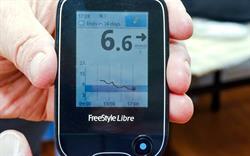 All eligible patients will be able to receive the FreeStyle Libre device ‘on prescription from their local GP or diabetes team’ from April, NHS England said. Currently around 3–5% of patients with type I diabetes in England have access to the monitoring system; however, if current guidance was followed, this could rise to at least 20–25% of patients, NHS England said. Those who meet the current NICE criteria for insulin pump therapy (HbA1c >8.5% [69.4mmol/mol] or disabling hypoglycemia as described in NICE TA151) where a successful trial of FreeStyle Libre may avoid the need for pump therapy. 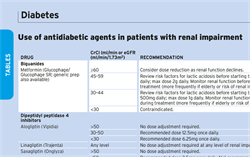 Frequent admissions (>2 per year) with diabetic ketoacidosis or hypoglycaemia. 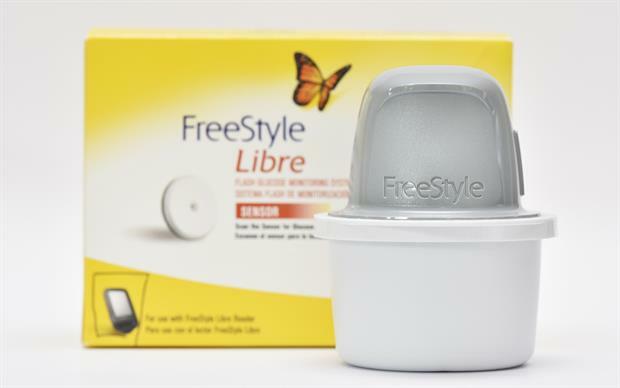 The FreeStyle Libre system monitors glucose levels in interstitial fluid using a sensor worn on the upper arm, relaying readings to a smart phone or e-reader. It eliminates the need for regular fingerprick testing of blood glucose levels.